August 1st 2015. 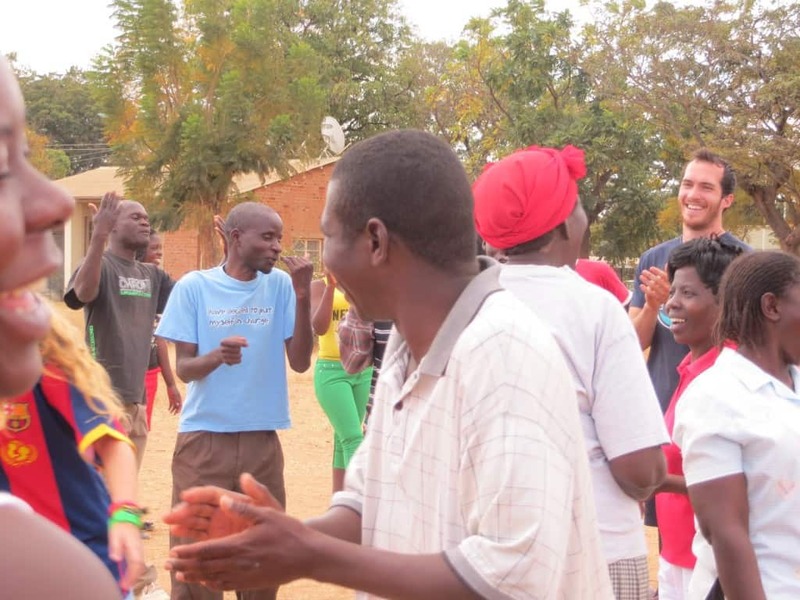 Mike Mazzullo writes about his time in Mzimba, Malawi working alongside fellow Columbia University alum and CAC Staff, Nora Dooley. The first time I heard that Malawi is the Warm Heart of Africa, slight worry nagged me. Even though it’s winter, the thought of a “warm” place in a continent that has some pretty warm places was alarming. Of course, “warm” probably refers to a generous spirit, but one can never be too careful when it comes to high temperatures. After a week in Mzimba, the double meanings of “warm” Malawi can be safely confirmed. To set the stage a bit, this was a first-year program in Mzimba, which is a medium-sized town in central Malawi. Most of the economy is agricultural. It’d be hard to find better tomatoes. Our participants, who come from Mzimba and the surrounding communities, number about 65. The majority of them are teachers, and thus share a special place in my own heart. I learned of their challenges in the classroom. 90 kids per teacher? Small classrooms without fans, in the African summer? Lack of basic materials like notebooks and pencils for everyone? Hard for me to imagine. 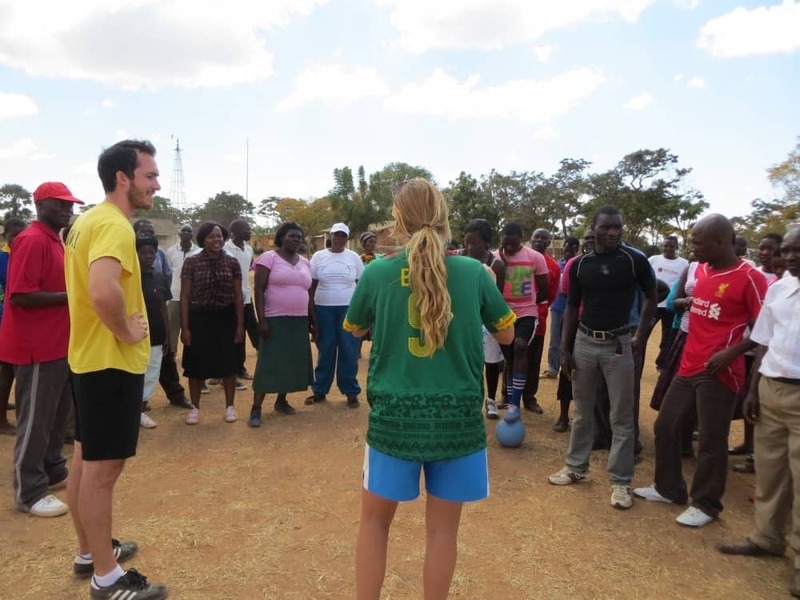 The hope is for CAC’s philosophy – using soccer to teach life or academic or any type of skills – to equip educators with another tool. That doesn’t mean we can’t have fun. Let me explain the Cucu Dance. It’s used as a form of good-humored punishment. The Cucu Dance. (Cucu = chicken.) It’s a CAC favorite, and easy to learn. With a slight resemblance to a chicken, you: bend knees, flap elbow-bent wings, and shake your angled legs in and out. Stupid grins are recommended, and tend to come naturally. The whole thing is patently ridiculous and makes a mockery of anyone’s desire to avoid looking like an idiot. It’s a combination of the Charleston, dougie, and Kevin Nolan’s goal celebration. The participants in Mzimba go bonkers for the Cucu Dance. Any awkward silence, on the field or in the classroom or during snack, became an opportune moment to spontaneously break out into full fledged limb-clucking. It’s equally hysterical and shocking. Nora Dooley deserves credit/blame for the proliferation of said dance globally. Besides the group’s willingness to have fun (often at their own expense), there was also a willingness to address the serious social issues in their community. Take something that stirs little laughter: HIV/AIDS. One great game to teach about sexual health is the pebble test (officially known as “Can Adebayor See HIV?”). Split your team into two lines, a few yards apart, and facing each other. Everyone put their hands behind their backs. Eyes closed. The coach walks behind the blind rows and quietly places one pebble in a player’s hands, and repeats for the other line. When you shout “eyes open”, one player from each row should be holding a pebble, but make sure everyone keeps their hands hidden. By the way, the pebble represents HIV. Select a player to start the guessing. He or she selects someone on the other row in the hope of revealing the mighty pebble-holder. If the chosen is pebble-less, he or she is the next to guess from the other line. And so on and so on, until finally both owners of the rocks are exposed. What’s the point? The pebble test is a simple game with a simple message. Like trying to guess if someone is hiding a pebble, we are blind to someone’s HIV status. You can’t see HIV. Don’t judge someone’s sexual health by using the “eye test”- the way they dress, their reputation, or the supposed guilt on their face. The participants in Mzimba loved the set of HIV/AIDS and sexual health games and identified them as a high-point of the week. Sexually transmitted diseases are so prevalent, deadly, and misunderstood. What can teachers/coaches/leaders do? Maybe simple classroom instruction is not enough. Maybe some kids need musical songs, other kids need visual aids, others the game of soccer. It’s something worth thinking about, and solving.